Folk Told Me is an Afro-Surrealist band from South Africa and the USA, combining folk and indigenous music of the African diaspora with hip-hop, rock, jazz, blues and electronica, to reconnect, remix and remember our histories. Speaking of histories, a majority of Folk Told Me are the members of the first incarnation of The Brother Moves On. In the tradition of tracing the collective history of this energy The Brother Moves On would love to invite you to experience Folk Told Me in Cape Town with TBMO being the supporting act. 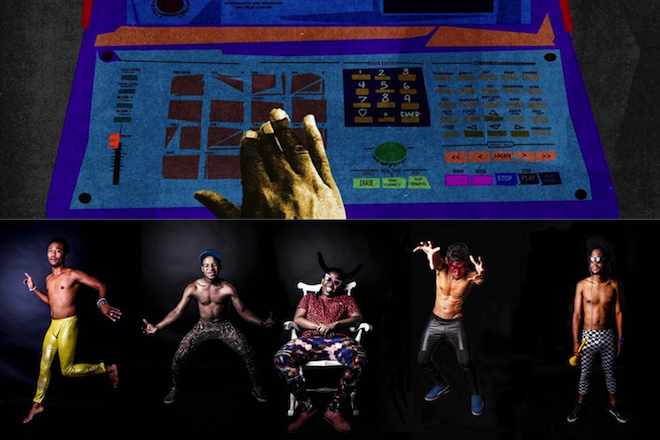 The Brother Moves On (abbreviated as TBMO) is a South African performance art ensemble from Johannesburg, Gauteng.